This was a treat. 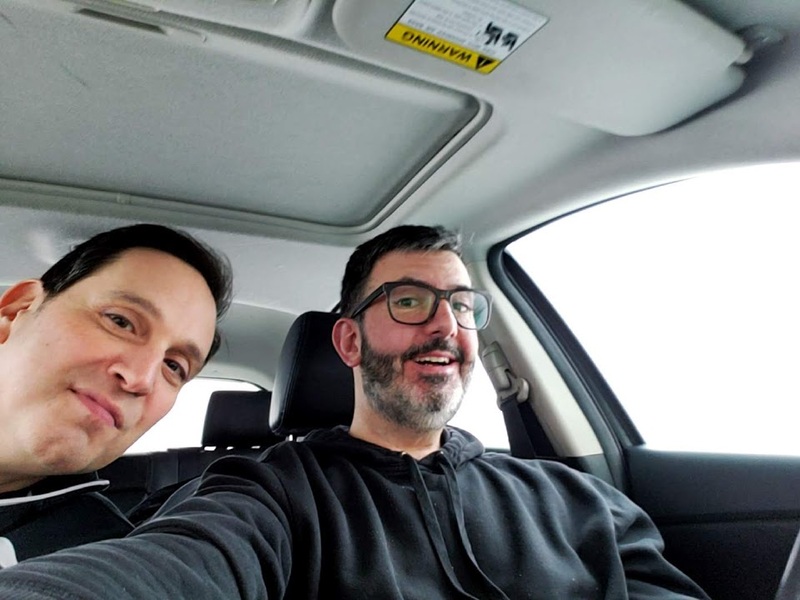 My old friend Brian, of the recently-launched KQX Morning Crew (Brian, Ali & Justin, 6-10 a.m., weekdays on 101 WKQX), joined me to take on a food challenge at the legendary Chicago Culinary Kitchen (773 N Quentin Rd, Palatine, IL 60067). The warning signs of a heart attack. We ate over $300 worth of meat. We didn’t want to double-doink the food challenge. Sludge’s bachelor dinner the night before: Beans & caramel corn. We’re like Olympians. Even better than Olympians, in fact. We ate while a 15-pound cutting board straddled our laps. I almost killed Brian on the way to Chicago Culinary Kitchen when my car wouldn’t stop in the snow. What was it like for Brian to return to Chicago after being off the air here for… a while? Brian would be totally down with an arranged marriage. What would each of us do with a billion dollars? How did I not know that Brian is a horror movie fan? We get blurry vision and meat-drunk.